I bet this is big.. wow, awesome capture Lina.. I too have flowers for my MYM. Wow these flower is unique. I love it! First time I've seen this flower. TFS! Have a fabulous week. 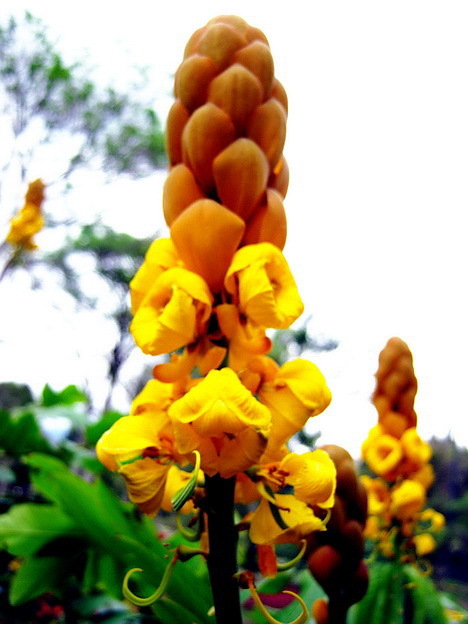 i have seen this flower in the forest a few years ago. we call it Akapulko, also Ringworm Bush. it has medicinal properties, too. wonderful shot. Very beautiful,don't exist in Norway..